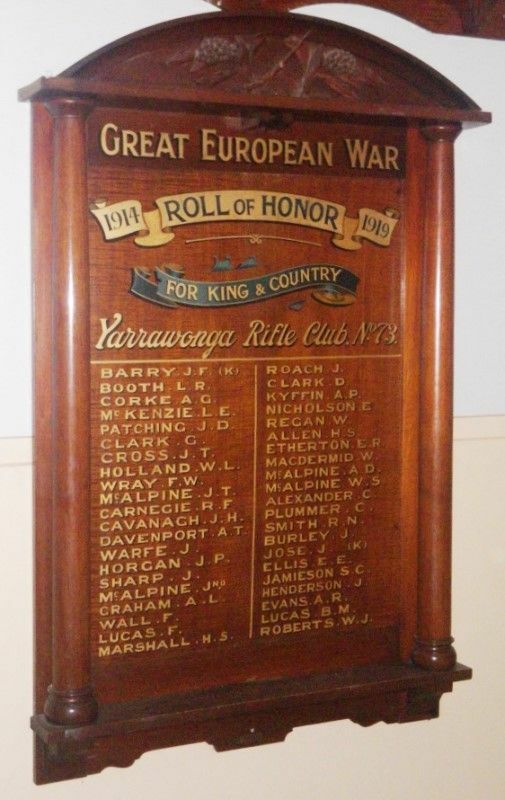 A wooden honour roll commemorates members of the club who served in World War One. The opening of the local rifle range took place on the 16th inst., and an Honor board containing 40 names was unveiled. Two of the members, Ptes J. Barry and J. Jose, were killed. Benalla Standard (Vic. ), 25 July 1919.